"A rainbow of colours processed from the very best of nature's stones". Polished granite is widely used in monumental works, public artworks and war memorials. Please vist J.H. 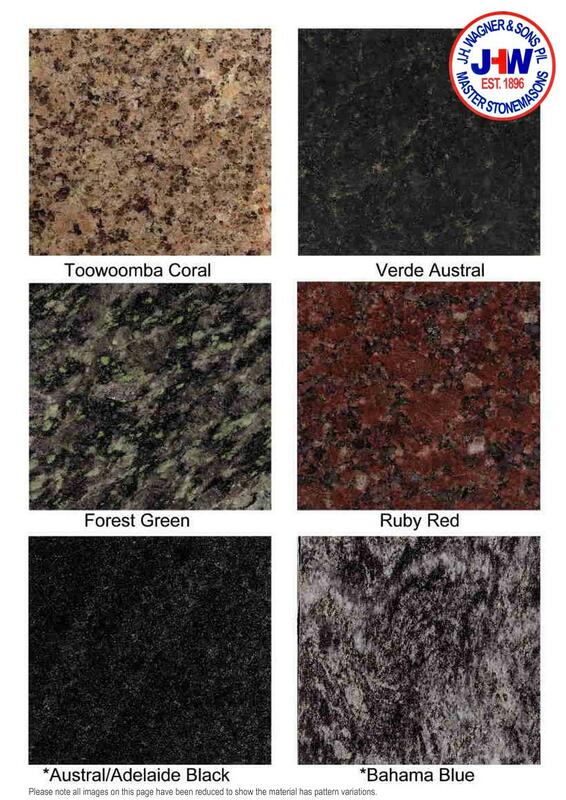 Wagner & Sons offices at Toowoomba and Sumner Park, Brisbane to view our granite display.